House model ; Adalina | 3 bedrooms | 1 maidsroom | 1 garage | LA:180 sq.m. FA: 64 sq.m. The Garden at South Ridge is a seven-hectare garden village featuring upscale amenities, master-planned greenery, 24/7 security, and direct main road access. 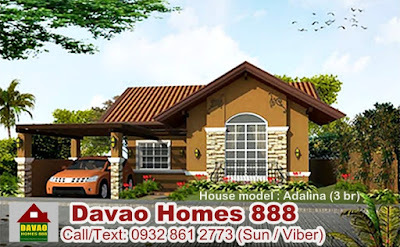 With over one hectare of its total land use especially allocated for commercial, sport, and leisure facilities and establishments, it is the newest and most desirable address in one of Davao City’s fastest-growing districts. Enjoy the upscale amenities, master-planned greenery, commercial establishments, and the various sport the leisure facilities of the community close at hand. Welcome to exclusive, green living at its absolute finest.